It’s fascinating to plunge into an archives exhibit of the Billy Graham Center and discover more about Billy Graham’s crusades—in particular, the significant role of thousands of unacclaimed counselors who listened and asked questions. When discussing the gift of evangelism, the name of Billy Graham is sure to come up—especially now as this highly-respected, faithful servant of Christ has just passed from this life into eternity. As Billy Graham preached to millions in stadium events across America and the world, he was unmistakably filled with God’s power to speak God’s message from the Scriptures, and when he spoke, the Spirit moved and people surrendered their lives to Jesus. Sometimes that fact has caused many of us with seemingly much less charisma to shrink from the idea of our involvement in sharing the good news of Jesus. Yet the archives of Billy Graham Crusades reveal a deeper story of connection. “Determine the NEED of the Inquirer,” it says. Don’t do all of the talking. 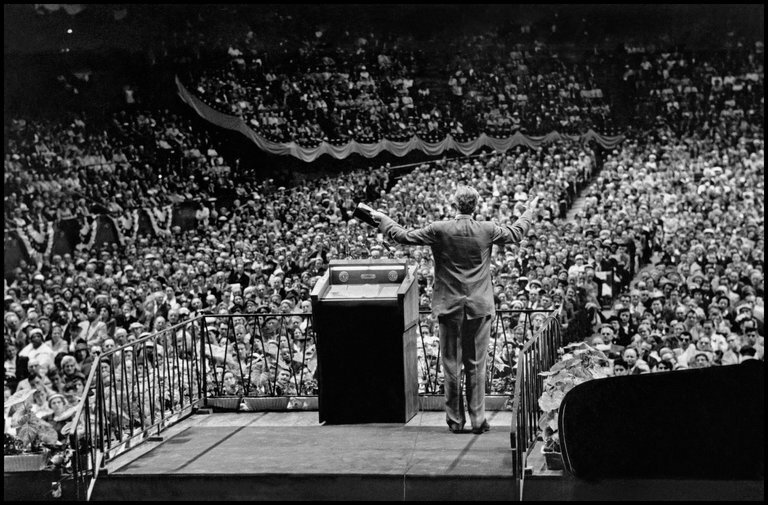 So at the end of each night of the 12-week crusade at Madison Square Gardens, Billy Graham gave an invitation to walk down to the stadium floor, the choir sang “Just As I Am,” hundreds—or more—left their seats, and counselors in a room under the stadium were praying and ready simply to have conversations, one-on-one. What did you have in mind as you came forward tonight? What decision have you made or are you making? Have you ever made a decision for Christ before? How, in your mind, does a person become a Christian? Billy Graham may have preached an amazing, Spirit-filled sermon, but ordinary people, also led by God as they listened, would ask simple questions to help “Just As I Am” individuals lay out their need and their understanding in their own words. It was an essential part of Billy Graham’s ministry. And with a little adjustment, we can use questions like these when we are aware that God’s Spirit is stirring the heart of someone we know. These kinds of questions can help us see the core of someone’s need so we can share the specific message about Jesus that fills that need. The crusade was just a starting point. Something brought up in that short one-on-one session could be delved into more deeply in an ongoing relational connection, with a new Scripture shared and an invitation given to discuss the Bible together. More conversations about God could then happen in a group of seekers and new believers with a few seasoned Christians. It wasn’t just about conversions after hearing an amazing speaker. It was about ongoing conversations and making new disciples—for life. And that’s something that all of us can have a part in.